Here at Gun Sources we love to stir us up some controversy. And among gun-lovers like us there are few topics that will do it as quick as naming the best rifle caliber. But in general it’s a silly notion because it depends on what you’re shooting at. Is it paper targets 100 yards out or a Bighorn at 500 yards and elevation? It’s a fun exercise anyway, so let’s do it and then compare with your notes and opinion. Let’s start by looking at some of the most popular categories (like sniper rifles) and see what some other experts have crowned as their favorite firearm caliber. First let’s get one thing straight, 5 of the 8 longest sniper shots in history were taken with a .50 caliber round. The remaining 3 were all .338 Lapua Magnums. There’s a growing body of evidence that the .338 Lapua is quickly becoming, if not already there, the most preferred caliber by military snipers. While the .50 Cal offers extended range and power, it comes at a hefty price tag in added weight and loss of foot mobility. Both have incredible long-range killing capacity. The Barrett weighs in at hefty 30lbs with the standard 29 inch barrel and is about a pound less with the 20 inch barrel with an impressive effective range of 1,800 meters compared to Accuracy International’s, L115A3 that weighs in at about 15 lbs with an effective range of 1,500 meters. I’m certainly not saying the 50 cal can’t be taken on a dismounted patrol because it can, but it must be employed with a team much like a crew served weapon, not very practical. The first cartridge designed specifically for sniping. The 338 Lapua was developed back in 1983 but it wasn’t until the later 1990’s that it gained in popularity and started to become more widely used. The cartridge was designed to arrive at 1000 meters with enough energy to penetrate 5 layers of military body armor and still make the kill. The effective range of this cartridge is over 1 mile (1609 meters) in the right shooting conditions as has been demonstrated in recent conflicts with confirmed kills in excess of 2000 meters. While there are other rounds that do and have made amazing sniper rifles, we’re crowning the .338 Lapua as the Best Sniper Rifle Caliber and the best long-range caliber. And, if you want to spend a few minutes hearing from someone who knows… watch this video by Rex. He breaks down a real discussion of the top rounds for long-range shooting. School is in session for beginning long-range shooters. Oh boy, someone’s about to get their toes stepped on. I apologize in advance. Deer is the most common game hunted in the United States and I’ve heard virtually every argument for the top calibers being named the best for deer hunting but there can be only one. 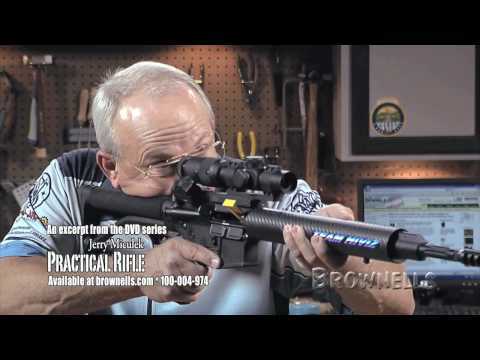 If you are going to own just one centerfire hunting rifle, make it a .30-06. It is the versatility king, short of thick-skinned dangerous game the ultimate jack-of-all-trades…and, as generations of riflemen have learned, it works! Yes, there are some really close calibers that could come in second, but we’re looking for the best of the best and there seems to be a safe consensus on this one. Using a variety of loads and bullets you can easily hunt anything from varmints to large African game. The .30-06 Springfield was so far ahead of its time that even at 108 years old, it may have still not peaked… Even today, the .30-06 is the cartridge all others are compared with. We can debate good beer, fast cars and beef brats, but the leader of this category is clear… the best deer hunting caliber is the 30-06. I also like the incredible availability of this ammunition, and also the likelihood of finding some in tough times, since it’s the most popular hunting rifle caliber in North America. Not forgetting what Craig wrote about the 30-06 and its versatility, we have to be prudent and recognize that there are far better big game calibers than the 30-06. Yes, we can bag big animals with it using the right loads and bullets, but really, it makes more sense and is likely more humane to just go with a larger round if you know you’ll be hunting the big ones. We’re not going to get that rowdy here, I hope, but by all means let me know in the comments section what you think, that’s how we all learn. There may not be quite as many .375 H&H Magnums lounging in the racks of pickup trucks as there are .30-06’s, but worldwide the cartridge remains one of the most popular ones of all time-and rightly so. Its trajectory is as flat as a .30-06, but it delivers 40 percent more energy to the target. That might not seem so big a deal if all you are shooting are antelope and deer, but if the target can either bite or stomp you back that increase in energy can be a lifesaver. No, it’s not the most popular or the most well-known caliber in the U.S., but it’s one that does the job at hand and does it without a whimper. Several of the more prominent hunters have embraced the .375 H&H as their preferred tool—Harry Manners and Wally Johnson come quickly to mind, and Finn Aagaard came to rely on a Winchester 70 in .375 during his days in Kenya. In my own experience, PH Terry Calavrias guided me in the Selous Reserve of Tanzania, and he too carried a Winchester 70 in .375 H&H, without a worry in the world. That’s a great article that I highly recommend. Philip Massaro who wrote it does an amazing job of explaining the value of this cartridge while teaching at the same time. For the final word on this category I’ll again quote Philip and his love of this caliber. I’ve used the .375 H&H to take smaller antelope in Africa, like the steenbok, springbok and impala, as well as warthog and eland. I’ve also used it to take a huge-bodied bison on the Great Plains and for caribou in the Tioga of Quebec. It makes a great choice for bear of any color or species. I can honestly say that I’ve never lost an animal that I pointed my .375 H&H at, and I’m not done hunting with it by any stretch of the imagination. While you may not agree (and I hope you’ll let me know if you don’t), the .375 H&H is officially my best big game caliber. I love this question because it’s the one that always gets the most discussion, and truthfully I respect everyone for their choice of caliber and weapon and I hope they will mine. In the end this whole exercise is about learning. That being said, it comes down to two choices in my mind, depending on your plans for survival. The best caliber for a survival rifle is the one that achieves your goal. I believe the best SHTF caliber must be either the .223 (5.56) because of its incredible versatility yet relatively small size, and its wide-spread availability, or the .22 Long Rifle (LR) for its relative power and effectiveness, availability and extremely light weight. For a survival rifle you’re either looking to defend yourself from mammals (man, zombies, wolves, etc…) or put food on the table. And while both rounds serve that purpose to a degree, let’s have a look. Let that sink in and think it through when you go all in with your final survival rifle pick. 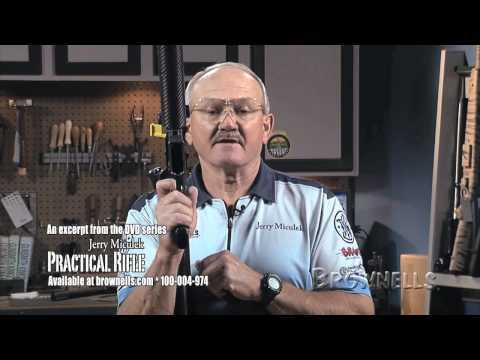 The .223 is one of the most widely available rounds in the U.S. and probably next to the .22 LR is the one you could find the easiest if there’s ever a SHTF situation. I imagine that every farm and ranch in the U.S. (and over half the homes in non-progressive America) has a store of 5.56 or .223 rounds. It’s the round our military has chosen to dispatch baddies, so you can rely on it to do that, too. If your rifle is one that’s well cared for (read this article) then it’ll reliably do the job at hand. The problem I have with the .223 round as a one-rifle survival choice is that it requires me to forgo about 1,000 shots when compared to the amount of ammo I can carry with a .22 LR. Yes, 400 rounds of 5.56 is a lot, for sure. And like I mentioned earlier in this article, for those that might have to truly fight their way out of something or through something, it may be the only choice. See this article I wrote about the Best Firearm For Survival and you’ll see more specifically what I think about the .22 LR as a choice and some suggested rifles. If you live in or near a populated area and your survival scenario is going to involve likely person to person engagements then the 5.56/.223 is likely the round you’ll choose. If, like me, you live in a rural or less-populated area and have plans for remote bunkering, then a .22 LR that offers an abundance of hunting shots might make more sense. Either way, I don’t think any other caliber outside of these two can be considered as the one-caliber choice for survival when considering the weight limitations we discussed earlier. So there’s my take on some of the best rifle calibers and most effective rounds for several categories of situations. I’ve included a large visual chart below that makes it easier to compare the size of various calibers; just click on the image and a much larger version will open in a new window so you can scroll around it. This article was really only posted as a starting point for discussion and debate, because I’d like to hear what you think about these choices and which rounds you think make a better alternative. I know that some half-cocked but educated youngster is going to take me to task with some of these, and that’s fine. I’m completely serious about wanting debate on this, because I’m no different from you, I’m always looking for the best rifle caliber. 12 Gauge PVC Pipe Shotgun Barrel. Seriously? 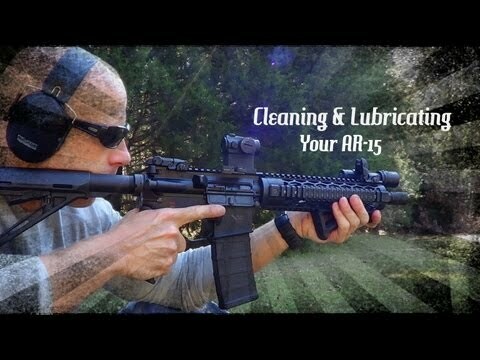 Before You Buy An AR Watch This! 600 Yards With A .22? Oh, You Have To See This!